In 2009, Berresford and his wife, Carrie, bought a home on Lawndell Road in Navarre. “We’re out in the country. We’re still close to everything we know...and nothing bad showed up in the home inspection,” he said. However, his new home soon revealed a toxic secret caused by an old problem. When he turned on his faucets, the water pouring out of them was tangerine. “We knew we had something unique on our hands,” he said. So what caused the carrot-like color? 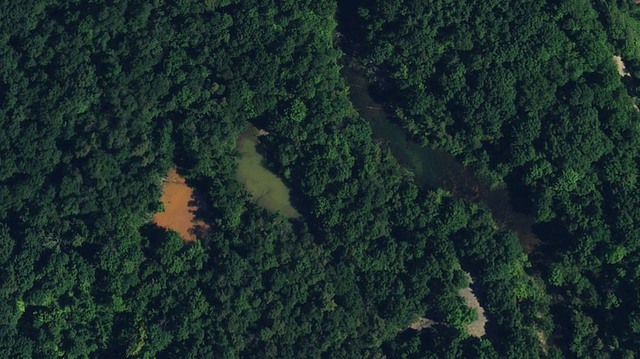 In internal e-mails obtained by On Your Side Investigators, the Ohio Department of Natural Resources blamed something called acid mine drainage (AMD). Acid mine drainage is the toxic consequence of decades of unregulated coal mining in the United States. Prior to 1977, there were few rules requiring coal mine operators to protect the environment. As a result, when water mixes with the coal left in abandoned mines, oxygen reacts with pyrite, a metallic mineral, causing chemical reactions that pull metals, including aluminum, iron and manganese, from mines into the water. “It’s kind of a societal mistake we made,” said Michelle Shively, the Sunday Creek Watershed Coordinator for Rural Action, a non-profit whose mission “is to foster social, economic, and environmental justice in Appalachian Ohio,” including restoring waterways affected by acid mine drainage. Shively showed News 5 a few of the more than 1300 miles of Ohio streams impacted by acid mine drainage. “You don't have any bugs, you don't have any fish, you don't any life in these streams,” she said. The restoration efforts Rural Action takes on require dedication, time and money. So, how does the non-profit pay for their work rehabilitating areas affected by abandoned mines? The organization receives money from a federal fund created to fix acid mine drainage and other environmental problems caused by abandoned coal mines. Each year, the Office of Surface Mining Reclamation and Enforcement (OSMRE) gives millions of dollars to all 50 states. The money is collected from a tax on current coal production. In Ohio, the abandoned mine land fund is administered by the Division of Mineral Resources Management, a part of the Ohio Department of Natural Resources. When Berresford discovered ODNR had a fund to help fix the polluted water coming from the well on his property, he was elated. He quickly asked ODNR to help him drill a new well or replace his water supply. “Then, it started to get a little sketchy,” he said. ODNR told Berresford he did not qualify for AML funds. Offeren wrote the policy was influenced by, among other things, “staff time required for investigation, development, and construction” related to residential water supply complaints. “I think the state is mistaken about whether they have to help him,” said Emily Collins, Executive Director and Managing Attorney for Fair Shake Environmental Legal Services. She is Berresford’s attorney. “The language I read in the statute that controls this kind of problem uses the world 'shall', not 'may.'" 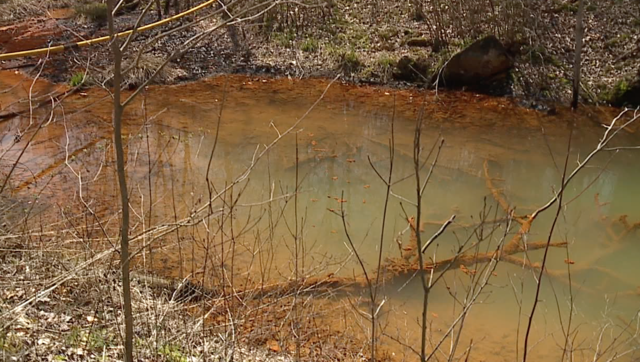 “It seems to me that a residential water contamination problem is one that we should consider the highest priority,” said Collins, especially when you consider Berresford’s neighbors may also be affected by acid mine drainage. “It's so shocking and so appalling that something like this can even happen nowadays,” said Berresford. Frustrated, in 2015, Berresford turned to the Ohio Department of Health. “We found out we have more lead in our water than some of the residents in Flint, Michigan." The agency has no legal authority to force ODNR to take action to replace residential water supplies impacted by acid mine drainage, according to Robert Frey, Chief, Health Assessment Section. However, ODH can test residents’ water for dangerous substances. In Berresford’s case, the new tests revealed something even more troubling about his water. It contained high levels of lead. “We found out we have more lead in our water than some of the residents in Flint, Michigan,” said Berresford. Throughout their interactions, Berresford said ODNR repeatedly told him a very different story. “They told us it was safe,” he said. “They said it was just an aesthetic problem." For weeks, On Your Side Investigators tried to schedule an interview with Lanny E. Erdos, Chief of ODNR's Division of Mineral Resources Management. 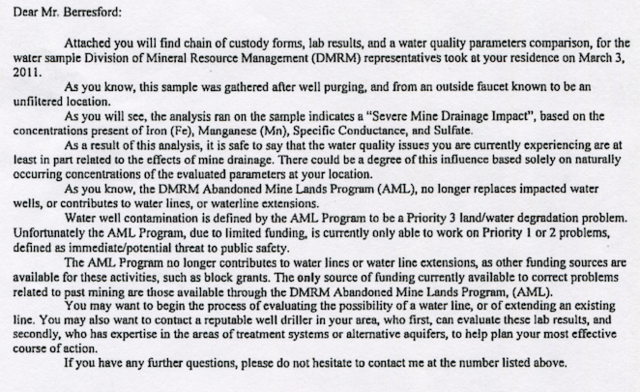 An ODNR spokesperson declined our numerous requests to discuss acid mine drainage and the Berresford case. “The Ohio Department of Natural Resources, Division of Mineral Resources Management (Division) was initially contacted in 2010 regarding water quality issues on Mr. Berresford’s property. Following that contact, the Division conducted multiple investigations into the cause of the water quality issues associated with Mr. Berresford’s well/water supply. During these investigations the Division assigned several hydrologists and environmental specialists to conduct reviews and provide results to the Chief for consideration (there were also investigations conducted by the Ohio Environmental Protection Agency (OEPA), Federal Office of Surface Mining (OSM) and the local health department). Initial investigations indicated that Mr. Berresford’s well may have or could have been impacted by underground or surface operations; subsequent investigations concluded that the primary influence impacting the well was from poor well construction (both sub-surface and near surface construction). In 2015 the Division expanded the footprint of the investigation to include multiple landowners and additional streams/springs to potentially assist in making a determination if poor water quality was connected to the larger area. As a result of this investigation, the Division determined that several near-by homes were also dealing with poor water quality issues. As a result of this investigation, the Division determined that Berresford’s poor water quality “may” have been impacted by pre-1977 mining impacts (it could not be ruled out, but was not conclusive). As a result, the Division offered to make an attempt to replace the Berresford well (there are no guarantees as water quality is known to be poor within this area). If unable to provide potable water via a newly constructed well, the Division offered to install a new septic system (new location) and install a new 5000 gallon (total) cistern system. Mr. Berresford refused this offer, and requested not only the above be included, but also the replacement of all plumbing within the home. The Division does not have the authority to expend funds for internal plumbing. Mr. Berresford indicated at this time that he would prefer to pursue legal action. The Division has completed 16 acid mining drainage (AMD) projects from 2012 – 2016 at a cost of $4.632 million. The Division further completed 25 Health and Safety projects that also contained some level of impacts associated with AMD at a cost of $2.077 million. The Division currently has nearly $355 million (this does not include water well replacements) in unfunded health and safety projects that have been identified here in Ohio. These include miles of exposed highwalls that present an imminent threat to the safety of the general public. The Division received $6.8 million in federal grant monies in calendar year 2017 to address these problems. As a result, all projects are discretionary; focusing on those projects that maximize dollars spent, and protects the general public. Berresford said he turned down ODNR’s recent offer to help because the agency will only replace his water supply if he signs a consent agreement waiving his rights to take any future legal action. “It's always just like there's a potential killer, a potential danger, in the house." In the meantime, as months of fighting the state for help have turned into years, Berresford and his family have grown accustomed to avoiding the water in their home. They use only disposable dishes, bathe at their in-law's nearby home and avoid letting the water touch their baby boy’s sensitive skin. “It's always just like there's a potential killer, a potential danger, in the house,” said Berresford. “We’re essentially camping."